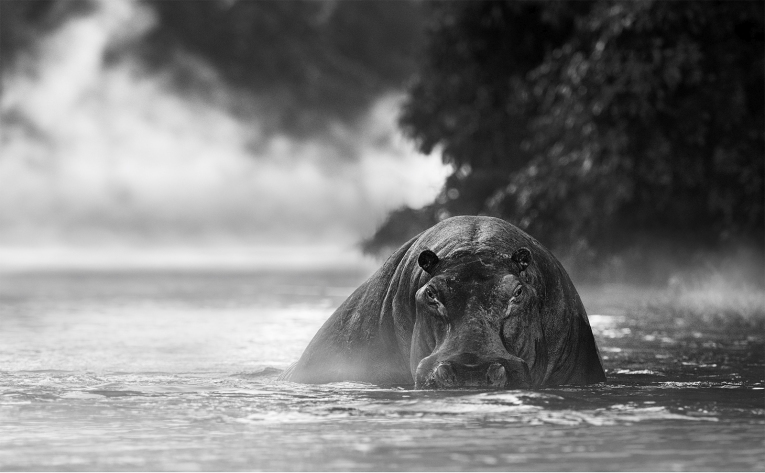 The entrance of a narrow creek on the Zambian side of the Zambezi is controlled by an enormous hippopotamus that locals have called Dexter. The water levels can be low here before the rains come and that means that Dexter’s enormous bulk is more on show than the thousands of his fellow species that hang out in the Zambezi itself. This is his home and he is most proprietorial. The creek in early morning reminds me somewhat of a mythical “Scooby Doo” set. Either side is heavily wooded and this draws the eye back to the water, which, in the minutes before sunrise, can look ethereal to the point of downright creepy.